While I’ve worked on a national commercial (and also one shown all over Europe), a few indie films, and background on TV shows, no one I know has actually seen me on TV and recognized me… until now. 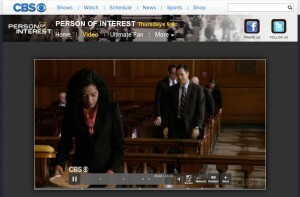 The most recent episode of the CBS show Person of Interest aired tonight, and I’m in the last courtroom scene, standing up at the sound of the gavel and walking out ahead of show star Michael Emerson (well known for his role on the TV series Lost). A friend of mine was watching, and actually recognized me! And he had no idea I was even doing background work. When working as an extra, I usually have very low expectations for being seen – you’re literally “background”! So this was a pleasant surprise. You can view the full episode here (not sure how long this will be available for, since usually only the most recent episodes are available). I appear around 38:45. This entry was posted in Acting and tagged appearances, tv by Xavier Fan. Bookmark the permalink.